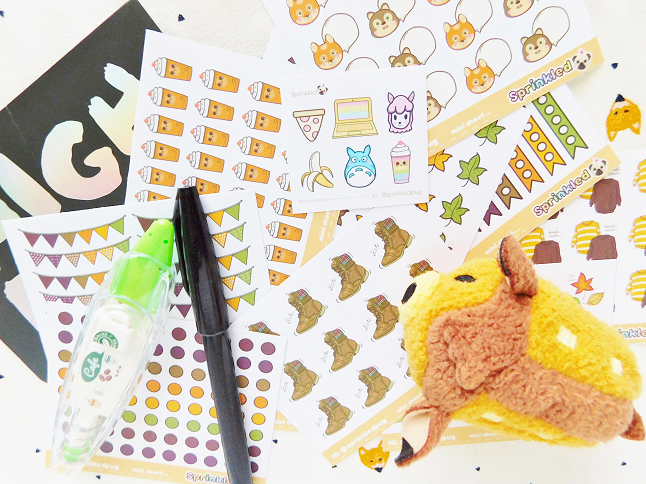 I have another Sprinkled Pug sticker haul to share with you guys, fall edition! 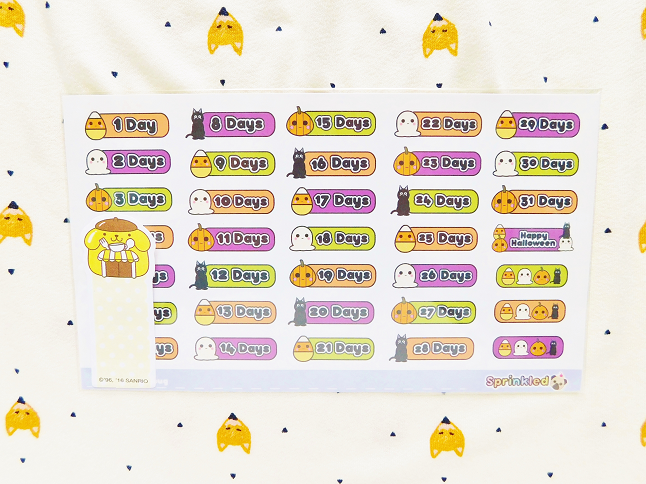 I bought these stickers back in September/October which is why there are some Halloween stickers included. 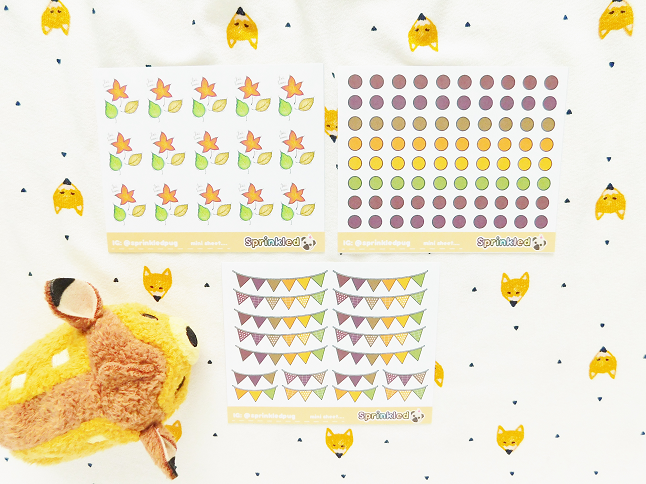 Liz designs are just too adorable that I just have to share her autumn releases. 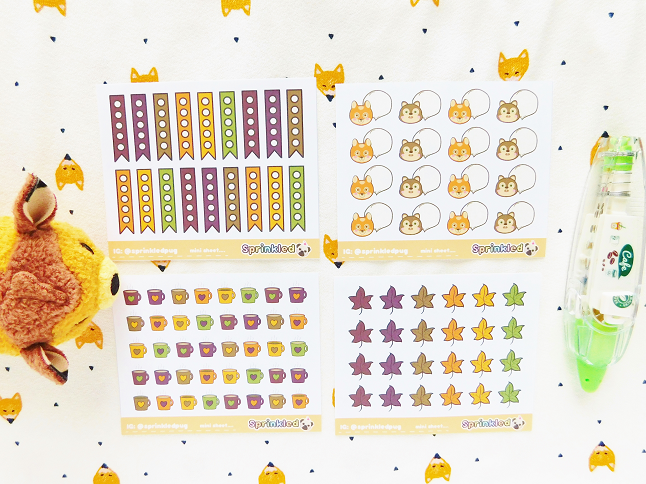 I can't wait to show you guys how I use these stickers in an autumn planner spread! Definitely, support Liz and her shop! She's slowly releasing her winter and holiday stickers which are so cute! Fall leaves, Autumn colored dots and banners. 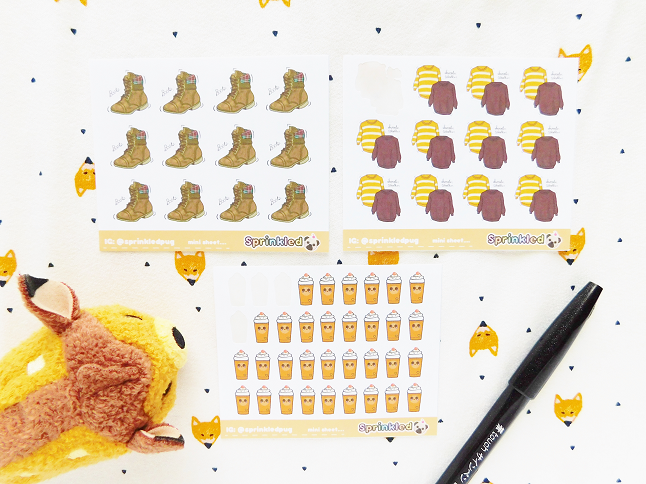 Autumn colored checklists, foxes and raccoons, coffee mugs, and leaves. Boots, sweaters, and pumpkin frappuccinos! Liz also included a mini autumn sampler, an extra sheet of Halloween stickers and a lovely note. Thank you Liz! With this order, I also ordered a Halloween countdown sheet. Like I mentioned, I received these back in October, so thankfully I was able to use these. 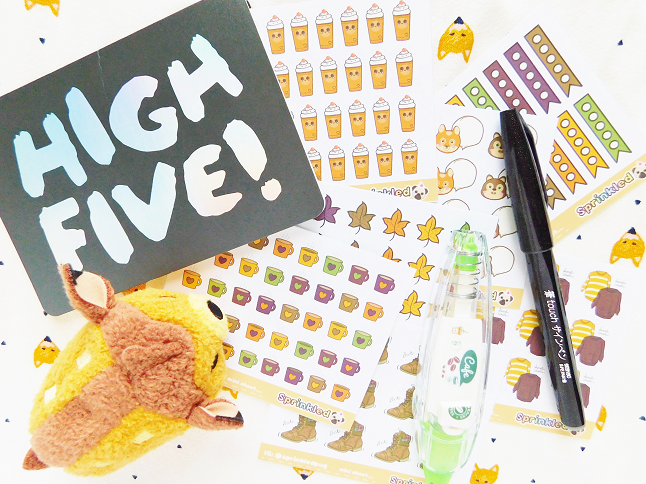 You can actually see them throughout my Blogtober planner spreads.